It’s believed 60,000 cases of snake bite in dogs across Australia each year. As many as 15,000 of them die. David Ellery presents this special report in memory of his Staffordshire Bull Terrier, Tequila, who was killed by a snake bite on December 24, 2003. David and his wife Myrna hope this may spare others from the pain of losing an animal companion so tragically. Snake bite is one of the most common causes of violent death among dogs and cats in Australia. It ranks second only to road trauma and is expected to increase in prevalence as climate change delivers longer and hotter summers that shorten the winter hibernation season. While the exact number of dogs bitten across the country every year is impossible to calculate, it is believed to be as high as 60,000 and possibly significantly more. This estimate is based on a straw poll of veterinarians in the central Victorian city of Ballarat. It revealed as many as 50 or 60 dogs were treated annually for snakebite in a cool climate region, where it is rare for more than two or three people to be bitten in any given year. Applying this multiplier of 20 to the 3000 Australians bitten by snakes every year suggests as many as 60,000 dogs could be affected. Of these, an average of 25 per cent (15,000 dogs) die. Then, of course, there is the unknown number of dogs who are bitten by snakes but not taken to a veterinary surgery for treatment. Snake bite is a major problem and yes, your dog is at risk. In this special report, timed to coincide with the start of the danger season, Dogs Life looks at why snakebite is such a serious problem across Australia. 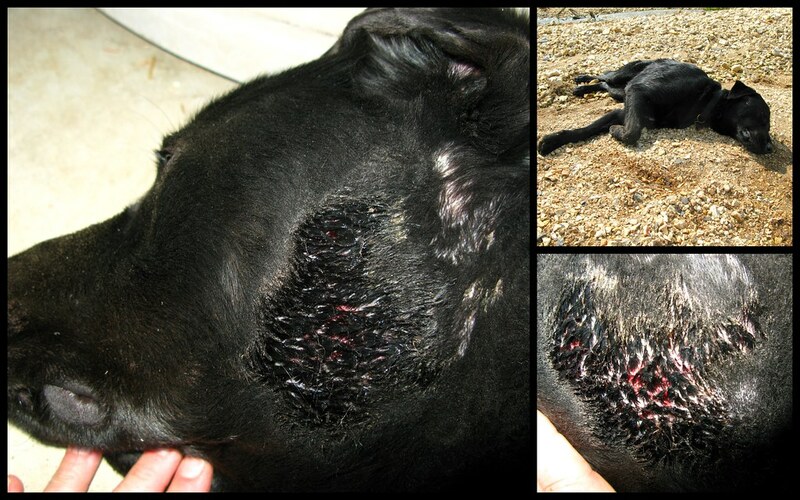 We also talk to people whose dogs have been bitten and ask expert vets about how you can keep your dog safe. You will read about what happens when a dog is bitten and how vets can administer effective anti-venoms that save 75 per cent of treated animals. Dogs Life also reports on the strong interest in Vitamin C as an alternative treatment for snake-bitten dogs but emphasises that veterinary experts have grave doubts about its effectiveness. Why is snakebite such a problem? Australia is home to some of the deadliest snakes on earth. They are classified as members of the family elapidae, or elapids. The most venomous, the small scaled or fierce snake, is restricted to a small habitat on the Queensland/ Northern Territory border. The most deadly, in terms of overall number of bites, is the brown snake. Figures that emergency and critical care veterinarian Dr Naomi Hansen quoted in the January 2005 edition of The Veterinarian reveal 76 per cent of all domestic animal bites recorded in a recent Australia-wide study were from brown snakes. A further 13 per cent were from tiger snakes a species confined to southern Australia and Tasmania, four per cent from black snakes, and one per cent from taipans. Hansen said tiger snakes inflicted the most bites in Victoria and Tasmania, while brown snakes predominated elsewhere. A massive 78 per cent of all snake bite reports in dogs and cats were in rural areas. Only 22 per cent occurred in urban areas. What happens when a dog is bitten? Hansen reported many of the clinical signs of snake bite in humans also occur in domestic animals and can assist in early detection and treatment. If you suspect your dog has been bitten, examine him immediately for the characteristic puncture wounds. Many dogs, particularly Terriers, Kelpies and the like, are bitten around the mouth and face while trying to attack a snake. Pay particular attention to the lips and the gums snakes can actually strike a dog inside the mouth. Because snake venom contains potent ant-clotting agents, there is often bleeding around the site of the bite. Signs and symptoms to look for within the first hour of a suspected bite include indications of a headache, irritability, sensitivity to light, nausea, vomiting, diarrhoea, failure of blood to clot and physical collapse. An apparent recovery within 30 minutes of the bite is not uncommon, nor is weakness or unsteadiness in the back legs. In the second and third hours after a bite dogs may have dilated pupils, laboured breathing, stomach pain, erratic heartbeat and bleeding from orifices and wounds. Some snakes have pro-coagulant venom and others have anti-coagulant venom, so the effects are similar. Dr Lynda Kitchin, president of the Central Highlands Branch of the Australian Veterinary Association and a veterinarian with the Ballarat Veterinary Practice in Victoria, told Dogs Life that blood just stops clotting. This leads to extensive bruising, bleeding from bodily orifices and blood in the urine and faeces. By the end of the third hour, the venom has attacked the muscles (myolysis), which leads to kidney failure and death. Death can also result from respiratory and circulatory system failure caused by paralysis. Hearts stop beating and lungs cease to function. Both Kitchin and Hansen make the point there is no arbitrary dog snake bite timeline. The many variables that can influence the time available for successful intervention include the size of the dog, the age and general condition of the dog, the breed of the snake, the size of the snake, the number of strikes and the amount of venom delivered. The single most important factor in determining whether or not treatment will be successful is the time that elapses between the detection of the bite and getting the dog to a vet. If you suspect your dog has been bitten, do not wait for it to develop the signs we have outlined above. Take your dog straight to a veterinary surgery for emergency treatment. And, if possible, identify the snake so the appropriate anti-venom can be delivered. The good news is a very specific and highly effective treatment is available for snake bite. The bad news is that it costs a lot of money and not every family can afford it. The treatment is one of a number of anti-venoms manufactured by CSL. Ballarat Veterinary Practice veterinarian Dr Richard Lawrence, also the co-author of the Australian edition of Dogs For Dummies and pet columnist with Melbournes Sunday Herald Sun newspaper, told Dogs Life there was no doubt about the effectiveness of the anti-venoms. If your dog gets the anti-venom early enough, it will survive, he said. As a general rule of thumb, if there is no clear evidence of the species of the snake involved, vets in Tasmania will use tiger snake anti-venom. In Victoria they will use a combination brown and tiger snake anti-venom. In other states, if the species of the snake is not known, they will apply a polyvalent anti-venom. Kitchin said one dose of the combined tiger and brown snake anti-venom commonly used in Victoria currently costs about $700. One dose of tiger snake anti-venom costs the same. One dose of brown snake anti-venom costs $250. It is not a product on which veterinary surgeries apply a large mark-up, but its costly, nonetheless. The second piece of bad news, and one that can catch many owners by surprise, is that one dose of anti-venom is often not enough. Kitchin can recall one recent case where she had to give a second dose to a cat animals that normally have much stronger snake bite resistance than dogs. And what happens if you don’t opt for the anti-venom? On average, 50 per cent of snake-bitten cats stand a good chance of getting better by themselves. Dogs are far less fortunate. Less than 20 per cent or one in five can be expected to live if they don’t receive the anti-venom. That said, even if you are not in a position to pay for anti-venom for your best friend, you should still take him to the vet. Snake bite causes intense physical pain. A veterinarian can maximise your dogs chance of recovering on its own and, if the worst comes to the worst, ensure its passing is as free of pain and discomfort as possible. An ounce of prevention, as they say in the pre-metricated classics, is worth a pound of cure. This is never more true than when it comes to keeping your dogs away from snakes and out of harms way. Dr Richard Lawrence said common sense is the best defence. Snake bite varies from year to year and is believed to be worse in drier years when the snakes go further afield in search of water. We tend to have runs of it for no apparent reason, he said. Laurence said while summer is the principal danger season in southern Australia, bites were also reported in spring and autumn. He said people wishing to provide a safe home environment for their dogs should follow the same principles as those wishing to keep their children safe. Keep the grass cut short around your home and make sure you don’t have piles of rubbish and old sheets of tin lying around for snakes to hide under, he said. With the majority of dogs being bitten away from the home, it is vital to exercise discretion when it comes to walks and the like. I certainly would not walk a dog off the lead in the bush in summer, said Lawrence. While any dog could be bitten by a snake, Lawrence pointed out it was a statistical fact that working dogs and Terriers made up the bulk of his snake bite patients. Farm dogs have more opportunity and Terriers are inquisitive and nose-down types of dogs. The vast majority of snake bite cases involve dogs that have been in the wrong place at the wrong time, he said. Sue Moses, a journalist living and working at Rushworth, Central Victoria, returned home on November 1, 2001, to discover a nightmare scene. She had placed her three dogs Jack Russell Nelson, Jack Russell/Fox Terrier cross Ally, and Border Collie/German Koolie cross Hodge in their run for safety that morning before going to work never thinking it could become a trap. During the course of the day, a brown snake made its way into the run and was attacked by Nelson. By the time she returned, Nelson was dead. So was the snake. He had killed it and, in doing so, saved the two other dogs. Moses, who was devastated by the loss and has since discovered and adopted Nelsons sister Tuppy, said there was nothing she could do. Moses now carries a syringe of Vitamin C with her when she is walking the dogs away from home. Like many people, she believes it has the capacity to delay the effects of snake bite and provide additional time to get an animal to the vet. I would never suggest to anyone that they rely on Vitamin C as a treatment on its own, but I know that it can’t do any harm and may well do some good, she said. Graphic artist Sahm Keily and her Ned Kelly award-winning writer and partner, Andrew Masterson, took their Staffordshire Bull Terrier/Rhodesian Ridgeback cross, Skin, into their hearts and their lives in November 2001. Now a shop dog at the Old Glenlyon General Store near Daylesford, Victoria, Skin, along with Wombat, the couples other constant canine companion, led a charmed life until April 2005. Keily and Masterson were taking the two dogs for a long walk down a bush trail on April 24. They did not think for a moment, given the lateness of the season, that there was any risk of snakes. We saw Skin attacking something on the track, said Keily. We realised it was a snake. Two kilometres from the car, it became obvious Skin had been bitten. She went weird and was rocking from side to side. Then she fell over. She was bitten in the mouth; there was blood in her mouth, said Keily. She ran for the car and drove it back while Masterson took care of Skin. When I got there, Skin was stuffed. Her breathing was slow and she was showing signs of paralysis, stated Keily. She and Masterson both thought the snake had been a yellow bellied black snake, not one of the tigers or browns that are more common in south-east Australia. The pressure was on to get Skin to a vet as quickly as possible not an easy task on the Anzac Day long weekend. When we got there there was no after-hours number. Fortunately, a friend drove past, saw what was happening, found the vet for us and brought him back, said Keily. When the vet arrived he did not inspire much hope. He told us he only had the one anti-venom and that would be the one she would be getting. Skin was also put on a drip, she said. When the couple went back for her on the Sunday they were given anti-inflammatory tablets and told if blood appeared in her urine, Skin would be a goner. On the Monday, the third day, she was looking perkier, but there was blood coming out in her urine. We decided to call another vet, said Keily. That vet gave Skin a massive dose of Vitamin C to boost her immune system. We were also told not to give her the anti-inflammatories, she said. Skins recovery was a long and painful affair. She lost her stamina and became a lazy dog. She is now being treated for an under-active thyroid. Keily said she and Masterson had both been convinced they were going to lose their dog a tragedy that would have broken their hearts. We were just relieved to have her back. It did bring us even closer to her. She is a 32kg dog. We had never thought of her as vulnerable, she said. The vet who gave Skin a vitamin C injection told Keily and Masterson the substance would boost her resistance and slow down the absorption of toxins in the blood. He also advised them to carry Vitamin C on future walks as an injection could extend the window of time in which a successful treatment of anti-venom could be administered. A quick search of the internet will reveal numerous websites on which remarkable claims are made about the effectiveness of Vitamin C as a treatment for snake bite in dogs. Dr Richard Lawrence, one of the veterinary experts quoted in this story, is of the view that while an injection of Vitamin C is unlikely to do a dog any harm, it probably wont do any good either. Please consult your veterinarian if you wish to investigate this matter further.